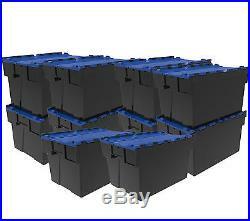 Set of 10 x Loadhog Attached lid 65L industrial use containers. 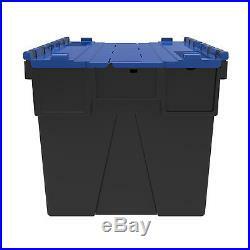 Black recycled body, with blue lid. Idea for house moves. Each container can be sealed & tamper proof with a tie wrap (not supplied) at either end to prevent the lids from opening. Made in the UK! Stackable when full and nestable when empty. Hinge design allows for quick and easy replacement of damaged lids. Temperature resistant from -20° to +40°. Multiple locations for barcodes and labels. 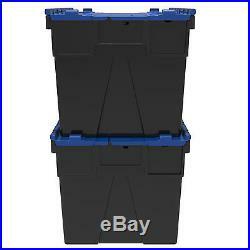 No overhang; lids secure in a vertical line when nested as empties. 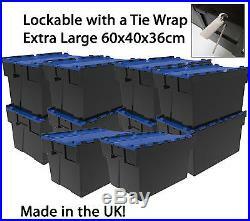 Lids can be “locked” when in transit with a tie wrap (not supplied). Can be printed, call for a quote 01430 410450. External Dimensions (top): 600 x 400 x 365mm. 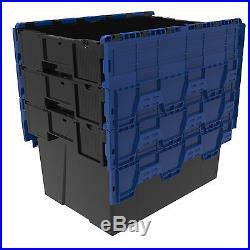 External Dimensions (base): 526 x 350 x 365mm. Internal Dimensions (top): 547 x 371 x 365mm. Internal Dimensions (base): 521 x 346 x 365mm. Made from high impact polypropylene. Payload: static 35kg, dynamic 20kg. Stacking Load: static 250kg, dynamic 125kg. Price shown includes VAT, a VAT invoice will be posted out to you after despatch. 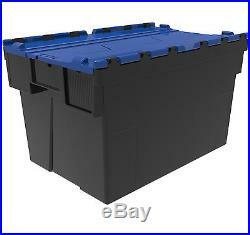 You are welcome to arrange collection from our site in East Yorkshire. About Filplastic UK Ltd: We were established in 1993 and have a sales office and national distribution centre in East Yorkshire. Our sales office is open each weekday between 8.30am-5.30pm (except bank holidays). Our friendly sales team are happy to deal with any queries. 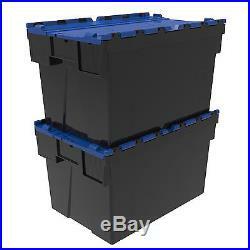 The item “Pack 10 House Office Move Plastic Boxes Removals Alternative to Cardboard Moving” is in sale since Monday, July 18, 2016. 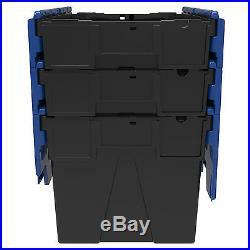 This item is in the category “Business, Office & Industrial\Material Handling\Packaging & Shipping\Shipping & Moving Boxes”. 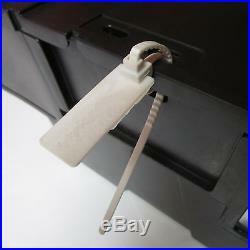 The seller is “filplasticukltd” and is located in Goole. This item can be shipped to United Kingdom.